The Velvet Revolution took place on November 17th 1989 — a date which has entered Czech folklore as the nation really came of age when it freed itself from Communism. By being on the ground on this most special of days, you’ll be able to gain a unique insight into the mentality and mindset of the Czech people by immersing yourself in the cornerstone of their culture. With candlelit vigils taking place all over the city, you’ll be able to see how an entire country comes together to celebrate where its future will lead it, whilst at the same time never forgetting where it has come from. In particular, you’ll want to visit the Museum of Communism to see for yourself just how different life used to be for millions of people who walked the very same streets that you can explore so freely today on your vacation. To make sure you don’t miss out, it is always a safe bet to get in touch with a local guide, or a company that specializes in local history. 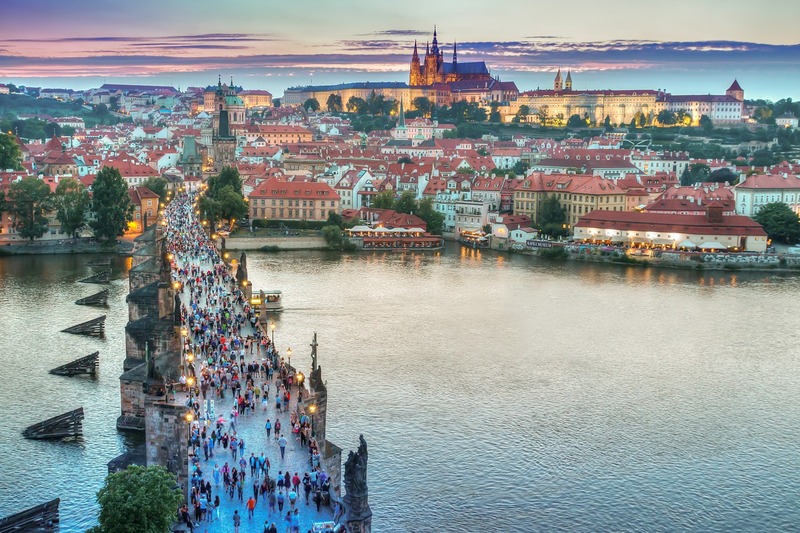 Their unrivalled local knowledge will ensure that you don’t miss out on any of the subtleties or finer points of Czech culture. The Old Town Square lies at the heart of the oldest part of the city. Once a forum for people to exchange news and sell goods, this has always been the beating centre of one of Europe’s most desirable cities. If you have the time, it is always worth visiting it at a couple of different times. In the morning, you’ll be able to sit and watch the whole city spring to life as the sun comes up and begins to thaw the wintery chill. 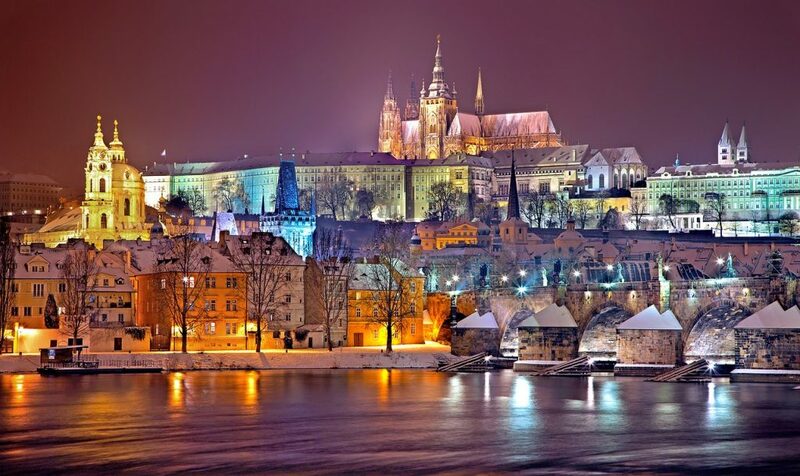 Then at night you can stroll in the crisp evening air and take in Czech nightlife by seeing how the people go about making the most of their free time. It doesn’t matter whether you stay in the centre of the city or far out; the Old Town Square will draw you to it no matter where you are! Ideal if you want to be able to soak up the unique atmosphere of this veritable capital of culture. The Town Clock is something of a masterpiece, and one that every resident of this great city is rightly proud of. We won’t ruin the surprise for you, but it is certainly worth having your camera ready when it’s about to strike the hour mark. In fact, it’s these little intersections of functionality and design that make Prague such a desirable destination. It offers more than just shopping and relaxing walks — it offers something for everyone. 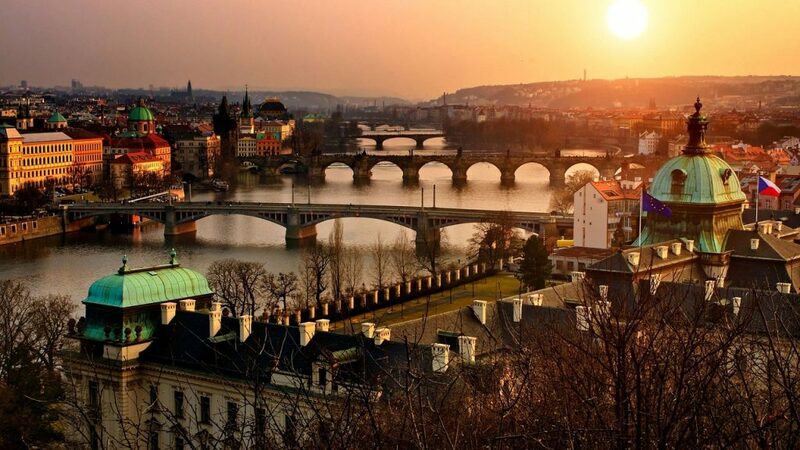 If you love to run your eye over beautiful architecture and stunning design, then Prague will offer you no end of opportunities to do so. The Town Clock is right at the top of that list! If you love the unexpected, then this is one sight that you will always be glad you’ve seen. Just make sure you aren’t running late, otherwise you’ll have to wait for the best part of an hour to see what it has in store for you! 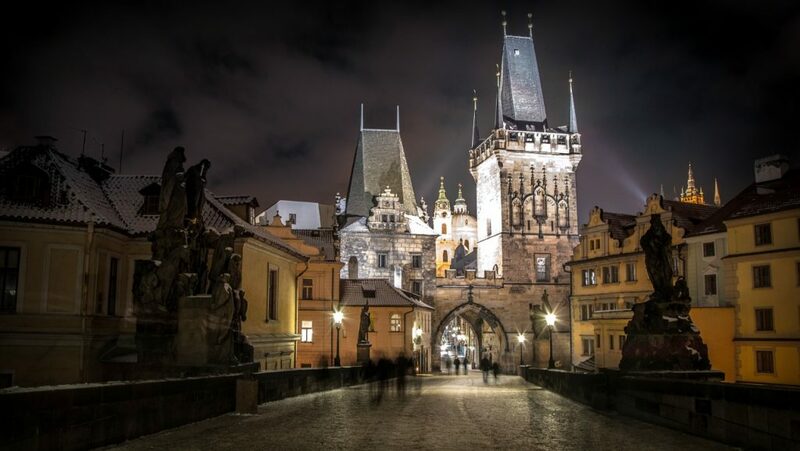 Stretching your legs and taking in the sights may not sound like something that you’ll be desperate to do when there’s snow on the ground, but for Charles Bridge you can make an exception. Crossing the Vltava River, this is one piece of architecture that will live long in the memory. To see it in all its glory we recommend making the short walk across it at night, so that you can see the arches lit up. Not only will you be able to see the reflections shimmering in the crystal clear water, but you’ll also get a feel for what a dominant landmark this bridge has been since it was completed in 1402. At over 600 years old, it is safe to say that if it could speak, it would be able to tell some extraordinary tales. Now you can write your own chapter in its unique history by making your own journey across it and enjoying the views it offers of the city at night.